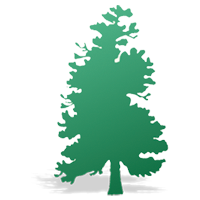 Howard B. Toms, Inc. Tree Surgery & Removal – R.C. Torre Construction Corp. Inc.
We are proud to partner with Howard B. Toms, Inc. Tree Surgery & Removal. Family-owned and -operated since 1984, Howard B. Toms operates out of Bedford Hills, NY and New Canaan, CT. The skilled tree care specialists at Howard B. Toms have come to be an integral part of R.C. Torre Construction’s overall green building philosophy. Selective tree removal from crowded landscapes helps the remaining trees to prosper. Judicious pruning services ensure the health, safety and beauty of your residence, grounds and the environment. Equipped with a 63-foot bucket truck, new chipper truck, a Brush Bandit wood chipper and stump grinder, Howard B. Toms uses the newest equipment and methods, offering state-of-the-art tree removal, care, pruning and stump grinding services.